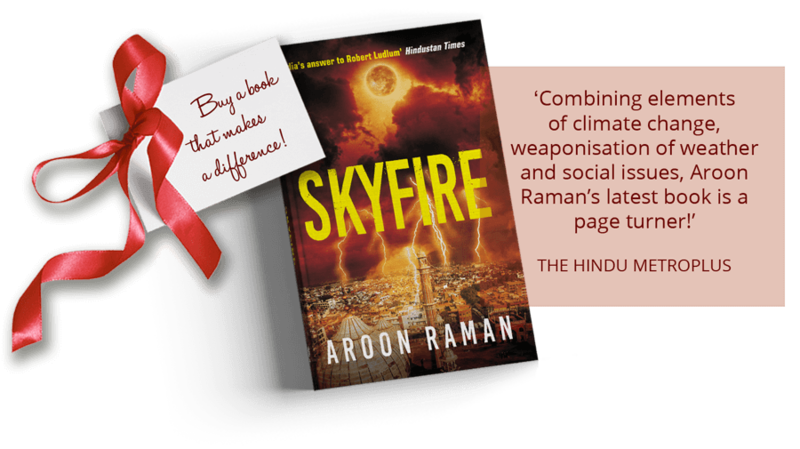 In Skyfire, the latest spine chilling thriller by Aroon, one of the key characters is a street child who goes missing. When you buy a copy of Skyfire, 100% of the author’s share of royalties goes to Sathi and Odanadi, NGOs that reunite missing children with their families. Send a receipt of your purchase to corporateoffice@telostech.in to know exactly how your contribution is being used.